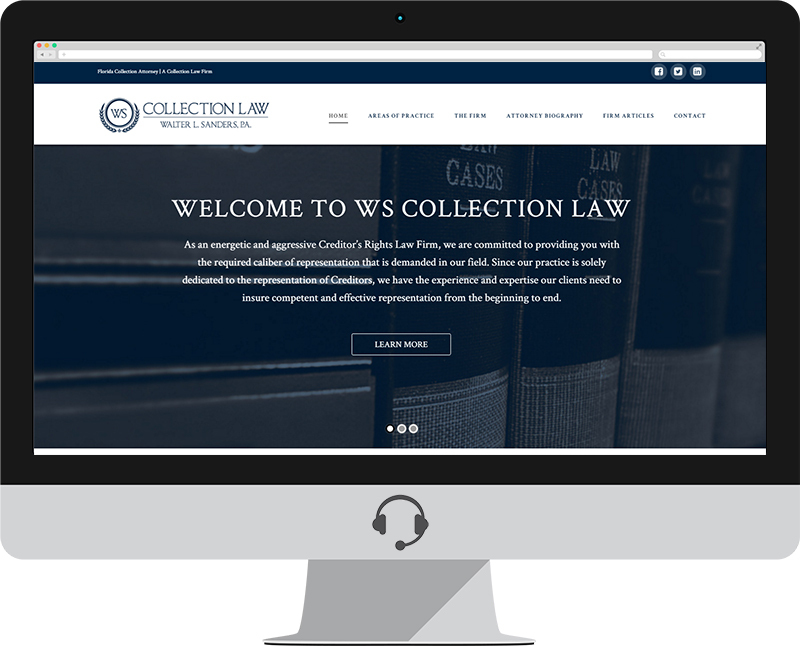 WS Collection Law picks Lakewood Ranch Web Design Firm Social Operator to re-design their website and perform SEO. A Law Firm that does not specialize in the area of creditor’s rights may not have the experience, skills and/or the special knowledge that is necessary for ultimate success on your case. Walter L. Sanders, Esq. and his staff have more than fifteen (15) years of combined specialization in representing clients in actions for breach of contract, replevin, mortgage foreclosure, construction lien foreclosure, civil theft/fraud, worthless checks and most other matters concerning commercial and consumer/retail litigation. Therefore, you can be rest assured that your case(s) will be appropriately handled in an expedient and professional manner from the beginning to the end. We are very aggressive in our collection methods, and understand that the process of collecting a Judgment (in many situations) is far more difficult than obtaining the Judgment. Therefore, our knowledge of Post-Judgment collection procedures, including garnishments, levies and post-judgment discovery, is extremely beneficial in ensuring the best recovery results for our clients.